One of the more difficult tasks in managing evidentiary multimedia is taking the audio from a body-worn recorder and merging it with various sources of covertly recorded video. Often times, the body-worn recorder produces the best audio, but the body-worn video misses the hand-off or the face shot. Thus, an investigator will want the better audio inserted into another video feed from the operation (pole cam, hand-held, etc.). For this reason, I'm looking forward to the release of Audition CS6. According to Adobe, "Automatic Speech Alignment: Designed to align overdub dialogue quickly with existing production audio, the new automatic speech alignment feature does much more than merely align initial transients. When used on overdubbed dialogue, Adobe Audition analyzes the frequency spectrum involved as well as the waveforms, so each word of a dialogue clip is matched to its counterpart in the production audio—the real power is a new algorithm to provide alignment of noisy location audio to reduce mis-alignment. If you have ever worked with ADR or overdubbing, you know that this is a time consuming task and our goal was to provide a powerful tool to help make it a little easier. There’s no replacement for the skill and craft involved in professional ADR, but if you have an overdub performance which matches the location audio’s wording and phrasing, but the timing is off for lip sync, the new automatic speech alignment can help. Where you might normally perform a “stretch” on the audio to fit the timing, or be forced to do lots of editing/compositing to line up each word or phrase, automatic speech alignment can help you get good results quickly." Yes, I know. This feature is designed for a production environment. Well, Photoshop is for photographers, and we love it in law enforcement. I think that the more LE folks get used to Audition, the more they'll love it. I can't wait to try this with body wire/body-worn matching for field operations. To answer a recent question on the meaning of the term "deconvolution," I'll refer you to several texts referenced in the following citation from the world's greatest on-line source of information: "In optics and imaging, the term "deconvolution" is specifically used to refer to the process of reversing the optical distortion that takes place in an optical microscope, electron microscope, telescope, or other imaging instrument, thus creating clearer images. It is usually done in the digital domain by a software algorithm, as part of a suite of microscope image processing techniques. Deconvolution is also practical to sharpen images that suffer from fast motion or jiggles during capturing. Early Hubble Space Telescope images were distorted by a flawed mirror and could be sharpened by deconvolution. The usual method is to assume that the optical path through the instrument is optically perfect, convolved with a point spread function (PSF), that is, a mathematical function that describes the distortion in terms of the pathway a theoretical point source of light (or other waves) takes through the instrument. Usually, such a point source contributes a small area of fuzziness to the final image. If this function can be determined, it is then a matter of computing its inverse or complementary function, and convolving the acquired image with that. The result is the original, undistorted image. In practice, finding the true PSF is impossible, and usually an approximation of it is used, theoretically calculated or based on some experimental estimation by using known probes. Real optics may also have different PSFs at different focal and spatial locations, and the PSF may be non-linear. The accuracy of the approximation of the PSF will dictate the final result. Different algorithms can be employed to give better results, at the price of being more computationally intensive. Since the original convolution discards data, some algorithms use additional data acquired at nearby focal points to make up some of the lost information. Regularization in iterative algorithms (as in expectation-maximization algorithms) can be applied to avoid unrealistic solutions. When the PSF is unknown, it may be possible to deduce it by systematically trying different possible PSFs and assessing whether the image has improved. This procedure is called blind deconvolution. Blind deconvolution is a well-established image restoration technique in astronomy, where the point nature of the objects photographed exposes the PSF thus making it more feasible. It is also used in fluorescence microscopy for image restoration, and in fluorescence spectral imaging for spectral separation of multiple unknown fluorophores. The most common iterative algorithm for the purpose is the Richardson–Lucy deconvolution algorithm; the Wiener deconvolution (and approximations) are the most common non-iterative algorithms." 1. O'Haver T. "Intro to Signal Processing - Deconvolution". University of Maryland at College Park. 2. Wiener N (1964). Extrapolation, Interpolation, and Smoothing of Stationary Time Series. Cambridge, Mass: MIT Press. ISBN 0-262-73005-7. 3. Cheng PC (2006). "The Contrast Formation in Optical Microscopy". Handbook of Biological Confocal Microscopy (Pawley JB, ed.) (3rd ed. ed.). Berlin: Springer. pp. 189–90. ISBN 0-387-25921-X. 4. Nasse M. J., Woehl J. C. (2010). "Realistic modeling of the illumination point spread function in confocal scanning optical microscopy". J. Opt. Soc. Am. A 27 (2): 295–302. doi:10.1364/JOSAA.27.000295. Here's a snapshot of Adobe Camera Raw 7's Basic tab. Notice anything different? I thought that you would. Putting this amount of luminosity control within ACR is so cool. I'm liking CS6 already. Want to get a head start on the next generation of digital imaging? First, download the Photoshop CS6 Beta. Then, check out the these tutorials to discover the revolutionary new features. If you are interested in a concise list of the new features in CS6, click here. Remember, it's a beta ... so the shipping version will be a bit different. And ... as always ... validate your tools before using them for casework. This just in from Jeffrey Tranberry: "I’m pleased to announce that we’ll be providing official support for Windows XP, in addition to Windows 7, with Photoshop CS6. We know that some of our Windows customers were concerned about Photoshop CS6 dropping Windows XP support similar to Lightroom 4. Why is Photoshop CS6 still supporting Windows XP? Quite simply, Photoshop’s user base is much different than Lightroom’s and many more of our customers are still on Windows XP. However, the number of our customers on XP is decreasing and we expect to see more and more of our customers to migrate to Windows 7 and Windows 8. On the Mac side, we made the decision to end support for Macintosh systems that are not 64-bit capable. See related Apple documentation: How to tell if your Intel-based Mac has a 32-bit or 64-bit processor? Apple is no longer supporting 32-bit hardware with their latest operating system, Mac OS X 10.7 (Lion), so it makes sense for us to follow suit. Our current recommendation for the best Photoshop experience is to use 64-bit hardware and Operating Systems, specifically Mac OS X 10.6.x (Snow Leopard) or 10.7.x (Lion) for Macintosh and Windows 7 64-bit for Windows PCs. We’re actively working with Apple to create a great Photoshop experience with future releases of OS X, including the recently announced Mac OS 10.8 (Mountain Lion). We’re also working with Microsoft to also create a great Photoshop experience with Windows 8 for when it becomes available ..."
Here's the link to the public beta site. 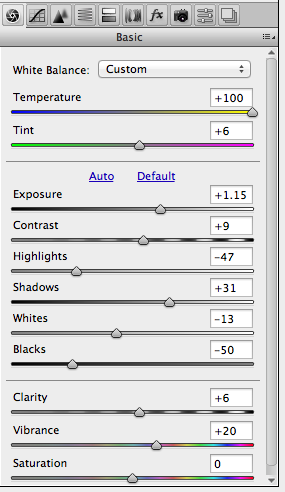 Even though I don't recommend Lightroom for law enforcement use, it's still a valuable tool for photographers. With the newest marketing campaign from Hasselblad, a reader writes in confused about tethering. Purchasers of the H4D will get Lightroom 4 as part of the package. That's cool. But, the H4D doesn't tether with LR4 ... yet. From Hasselblad: "The Hasselblad and Lightroom plan does not mean that Hasselblad's Phocus software is being phased out. Said Russell-Fish: "We will continue to support our proprietary Phocus software. This new agreement is about providing choice for our customers. Lightroom has the advantage of familiarity with photographers, digital operators and enthusiasts worldwide. Phocus still offers high-end imagists some highly specialised tools and remains an integral element of our Multi-Shot cameras as well as our Phocus Mobile application, which enables wireless connectivity for the iPhone, iPad and iPod Touch. We are also working on solutions to tethering and batch processing challenges, and integration of those solutions is not far off." Click here to learn more about tethering. Is a badge on Foursquare worth your life? This just in from the US Army: "There are a number of location-based social media applications and platforms, including Foursquare, Gowalla, SCVNGR, Shopkick, Loopt and Whrrl, currently on the market. They use GPS features, typically in the user's phone, to publish the person's location and offer rewards in the form of discounts, badges or points to encourage frequent check-ins. A deployed service member's situational awareness includes the world of social media. If a Soldier uploads a photo taken on his or her smartphone to Facebook, they could broadcast the exact location of their unit, said Steve Warren, deputy G2 for the Maneuver Center of Excellence, or MCoE. "Today, in pretty much every single smartphone, there is built-in GPS," Warren said. "For every picture you take with that phone, it will automatically embed the latitude and longitude within the photograph." Someone with the right software and the wrong motivation could download the photo and extract the coordinates from the metadata. Warren cited a real-world example from 2007. When a new fleet of helicopters arrived with an aviation unit at a base in Iraq, some Soldiers took pictures on the flightline, he said. From the photos that were uploaded to the Internet, the enemy was able to determine the exact location of the helicopters inside the compound and conduct a mortar attack, destroying four of the AH-64 Apaches. Staff Sgt. Dale Sweetnam, of the Online and Social Media Division, said geotagging is of particular concern for deployed Soldiers and those in transit to a mission. "Ideally, Soldiers should always be aware of the dangers associated with geotagging regardless of where they are," he explained. While especially relevant for those in the military, cautions about geotagging extend to anyone who uses that feature. Facebook is in the process of rolling out Timeline, a new layout that includes a map tab of all the locations a user has tagged. "Timeline presents some unique security challenges for users who tag location to posts," Sweetnam said. "Some of those individuals have hundreds of 'friends' they may never have actually met in person, he explained. "By looking at someone's map tab on Facebook, you can see everywhere they've tagged a location. You can see the restaurants they frequent, the gym they go to everyday, even the street they live on if they're tagging photos of their home. Honestly, it's pretty scary how much an acquaintance that becomes a Facebook 'friend' can find out about your routines and habits if you're always tagging location to your posts." Most of the applications let people limit who can see their check-ins to friends or friends of friends. "A good rule of thumb when using location-based social networking applications is do not become friends with someone if you haven't met them in person," Sweetnam said. "Make sure you're careful about who you let into your social media circle." Even if there is nothing classified about an individual's location, a series of locations posted online over the course of a month can create a pattern that criminals can use. "We live in a different world now," Warren said. "If someone were going to get a hold of your phone, they could figure out a lot about who you are. It's like a beacon that's always out there communicating with towers and plotting your moves on a computer somewhere. Literally, if you don't turn off that feature on your phone people are going to be able to recreate your whole day." "In operations security, we talk about the adversary," said Kent Grosshans, MCoE OPSEC officer. "The adversary could be a hacker, could be terrorists, could be criminals; someone who has an intent to cause harm. The adversary picks up on pieces of information to put the whole puzzle together." Grosshans suggests disabling the geotagging feature on your phone and checking your security settings to see who you're sharing check-ins with. "If your husband's deployed and you go ahead and start posting all these pictures that are geotagged, now not only does an individual know your husband's deployed and he's not at home, but they know where your house is," he said. Ultimately, it's about weighing the risks. "Do you really want everyone to know the exact location of your home or your children's school?" Sweetnam said. "Before adding a location to a photo, Soldiers really need to step back and ask themselves, 'Who really needs to know this location information?'" Grosshans said it's as important to Soldiers as to family members. "Be conscious of what information you're putting out there," he said. "Don't share information with strangers. Once it's out there, it's out there. There's no pulling it back." This just in from the BullsEye Blog: "For the second consecutive year, the Florida legislature is considering a bill that would change the standards for admission of expert witness testimony in Florida state courts. Slowly inching its way through the legislature, the bill suffered setbacks on March 8 when Senate amendments altered the language – and ostensibly the bite – of the original bill approved by the House in February. At issue is whether Florida should adopt its own statutory version of Federal Rule of Evidence 702 and Daubert, and throw out the long-standing Frye standard currently employed in Florida state courts. If you’re waiting to see which direction Florida will ultimately go regarding the current Frye v. Daubert debate, don’t hold your breath. Opinions differ across the board, and the ultimate answer, if any, may be a little of both. ..."
"On February 24 the Florida House voted to approve HB 243, which sought to amend section 90.702 of the Florida Statutes by conforming the standards for admission of expert testimony in Florida state courts to those used in federal courts. Specifically, the bill sought to require that admission of expert testimony in Florida state courts be held to the same standards contained in Federal Rule of Evidence 702 and factors articulated in Daubert. Florida currently uses the Frye standard in evaluating the admissibility of expert witness testimony. The Frye standard – considered by many to be less stringent than its federal counterpart – generally focuses on whether the underlying scientific principles are sufficiently established to have gained general acceptance in their field. The original House bill sought to openly reject the Frye standard and replace it with the federal factors enumerated in Federal Rule of Evidence 702 and the standards spelled out by the U.S. Supreme Court in Daubert and its progeny. ..."
"On March 8th, the amended version of the bill was adopted and passed by the Senate. The amended bill now awaits action from the House. If ultimately enacted into Florida law, the bill is slated to take effect July 1, 2012. ..."
Click here to read the rest of the story and find out what the folks are saying about this development. You are invited to join Adobe and leading digital forensics experts for a full day of training. At this unique event, we will take you deep into topics that will help you become more effective in photography and using Adobe Photoshop® and other tools for digital media analysis and investigation. Click here for more info or to register for the event. I received an e-mail from the folks at Verifeyed.com. They asked to speak with me about their service and how it might apply to forensics. They claim: "In order to authenticate an image using VerifEyed you must upload the original file unaltered as the device took it. This includes not rotating the image. VerifEyed does have a massive database of device signatures (we estimate 80% of images taken covered) but the technique itself uses multiple methods to authenticate." OK, what do you mean by "unaltered?" Can an image be altered and still be authentic? I'd say yes, but more on this later. They go on to say, "Image authentication without using watermarks and signatures (called the passive or blind approach) is regarded as a new direction and does not need any explicit prior information about the image. The decision about the trustworthiness of an image being analyzed is based on fusion of the outcomes of separate image analyzers." They sent me a trial code and I got out some simple images to throw at their tests. The first round's images were to test images downloaded from Facebook. I used images from my own account. Images that I either took with my own cell phone, or from my camera ... uploaded to my account ... then downloaded to my computer. I these cases, I'm either in the picture or the photographer ... and the camera is mine. Verifeyed.com reported these as not "Verifeyed" but didn't say why (there's no report function). But wait ... these are my pictures. I'm in most of them. Just because Facebook's script processed it for transport doesn't make it inauthentic - the image's content and context are still the same. Under California's evidence code, I can stipulate as to the authenticity of them because I'm either in them or I took the picture. Nevertheless, on to test two. I've got some JPEG stills that I saved from a DVR for one of my classes. I uploaded these and Verifeyed.com reported these as not "Verifeyed." Again, no report or reason as to why not. But, I exported the stills and they're authentic. What gives? In my conversation with their sales and tech crew, it seems that the version that I was testing works almost exactly like JPEGSnoop. It looks at signatures vs. an internal (to them) database. Naturally, with Facebook, there'll be a signature change (as I've already documented). With DVR stills, there's no possible way a signature based solution will be able to keep up with the many different manufacturers and models out there. They mentioned that getting into "forensics" was a new thing for them, that their primary market was the insurance industry and on-line dating sites. Ouch. Imagine this ... you take a picture of your family next to your new car. You upload the image to Facebook. The next day, your car is totaled with your phone in it. Phone's gone. Car's gone. You download the car's image from Facebook and send it to your insurance adjuster as proof that your car was fine before the crash. They upload your JPEG to Verifeyed.com and it says, "not Verifeyed." Claim denied. What are you to do? As problematic as this is for the insurance industry, imagine unleashing this on the criminal justice system. Ouch. I'd rather not. They said that they'd do deeper/additional testing on my images and get back to me with a better, more detailed report. That was almost a month ago. Now, their web site is down. I'd say that Verifeyed.com is not verified. Does Daubert Equal Summary Judgment? This just in from the BullsEye Blog: "It seems much legal attention has been devoted to Daubert lately – and with good cause. From the 1st Circuit’s Milward opinion last March allowing a less stringent “weight of the evidence” methodology – an approach previously rejected in a 5th Circuit case – to a reported increase in challenges, Daubert seems to be dominating legal headlines. As the role of experts becomes all the more critical in the world of litigation, many legal commentators are now pondering if a Daubert challenge has become the new summary judgment. In cases requiring expert testimony, courts seem progressively willing to “connect the dots” between a Daubert challenge and summary judgment. Quite simply, failing a Daubert challenge and the resulting exclusion of an expert’s testimony can mean dismissal on summary judgment – and the end of the road for your case. This is precisely what happened in Bielskis v. Louisville Ladder, Inc. , when plaintiff Raymond Bielskis, who was injured when a scaffold he was standing on collapsed, brought a products liability action against the scaffold’s manufacturer. The district court decided to grant defendant manufacturer’s motion for summary judgment after barring testimony of plaintiff’s expert on grounds the expert’s methodology failed to meet Daubert factors. On appeal the 7th Circuit upheld the decision – concluding that without the testimony of his expert, Bielskis lacked the evidence needed to keep his case afloat, and therefore dismissal on the summary judgment motion was proper. In cases that require expert testimony to sustain a cause of action or prove a material fact at issue, the message courts are giving is loud and clear – make sure your experts utilize reliable methodology and can withstand a Daubert challenge. Otherwise, your case may be over before it ever begins. Already this year another U.S. District Court case worthy of Daubert-related discussion may have taken the rationale behind the Bielskis decision one step further. Decided this January, the U.S. District Court for the District of Massachusetts excluded an expert’s testimony after a Daubert hearing and then promptly granted summary judgment sua sponte – which means literally “of its own will or motion; voluntarily” – without waiting for a current summary judgment motion from the other side. The case involved a class action securities fraud case. Plaintiffs had asserted a “fraud-on-the-market” theory of recovery, alleging that misleading reports on which class investors relied in purchasing AOL stock artificially inflated the price and caused investors to suffer harm when the price of the stock declined. To prove their theory of recovery, plaintiffs’ expert relied on an “event study” prepared to measure the impact of defendants’ allegedly misleading statements on the value of the AOL stock. Upon defendants’ motion to preclude the expert’s opinion, the judge convened a full Daubert hearing. At the conclusion of the hearing, the court found that pervasive fatal flaws in the expert’s methodology rendered his study and testimony inadmissible. In doing so, the court further determined that plaintiffs could not raise a triable issue of fact on loss causation, and without further ado granted summary judgment sua sponte in favor of defendants. It is worth noting that defendants had made an earlier motion for summary judgment which was denied under a different judge who had retired from the bench before disposition of the case, but the transferring judge didn’t wait for the defendants to bring or renew such a motion. Rather, perhaps in reconsideration of the earlier denied motion, he simply determined that summary judgment was appropriate – and then granted it. Regardless of the rationale behind the judge’s decision in Bricklayers, both this case and Bielskis are deserving of attention from attorneys and experts alike – failing a Daubert challenge can trigger the end of your case under summary judgment, and the courts have wide latitude in making that decision. For attorneys, it has never been more crucial to choose an expert who utilizes reliable methodology and can withstand a Daubert challenge. Be sure you know your expert’s history and purview of testimony experience, and vet him or her thoroughly to make sure that the scientific methodologies utilized are based on accepted principles in the industry. Is too much emphasis being placed on experts to make or break a case? Do you think failing a Daubert challenge should result in dismissal of a case on summary judgment?" This just in from the BullsEye Blog: "Are Daubert challenges really weeding out “junk science” and “pseudoscience” in the courtroom, or could it be that they are actually scaring off good, competent experts? Given the numbers alone, one can’t help but wonder. Since the U.S. Supreme Court’s 1999 decision in Kumho Tire Co. v. Carmichael, which established that the criteria set forth in Daubert applied to other types of expert testimony – not just that of a scientific nature – the number of Daubert challenges has risen sharply. While some increase may not be too surprising – after all, the Kumho decision expanded the pool of experts subject to Daubert criteria – what has perhaps left experts and attorneys scratching their heads is the sheer increase in the number of challenges. According to a PricewaterhouseCooper study, which looked at Daubert challenges post Kumho, the number of Daubert challenges to all expert witness types increased dramatically in the first decade of 2000. The study looked at federal courts and state courts utilizing Daubert and revealed that Daubert challenges to all types of experts have exploded – in the year 2000 the study noted 253 Daubert challenges, and that figure jumps to 879 in the year 2010 – amounting to an almost 250% increase. In fact, 2010 marked the year with the most Daubert challenges ever. As if those figures aren’t daunting enough, 2010 showed a 49% success rate of Daubert challenges to expert witnesses of all types, either in whole or part. The good news, if there is any, is that the percentage of successful challenges remained fairly stable over the first decade of 2000. The increase in Daubert challenges has occurred despite the fact that the number of filings, at least in federal court, has remained consistent over the same time period. For example, using information obtained from a website maintained by the Administrative Office of the U.S. Courts which tracked a 12 month period ending March 31, the year 2001 saw 254,523 total civil cases filed in U.S. District Courts, compared to 282,307 cases filed in 2010. Although a slight increase in filings from 2001 to 2010 is noted, it is hardly in keeping with the almost 250% increase in Daubert challenges measured using roughly the same time frame. U.S. Court of Appeals filings for that same time period were also fairly stable – in 2001 there were 56,067 cases filed as compared to 56,790 in 2010 ..."
"How does coming face to face with a Daubert challenge affect an expert’s future usability? Failing a Daubert challenge has the potential to be damaging to an expert. Whether a challenge is successful or not, once made, it’s on the record and at minimum throws up a yellow flag for the attorney. That’s in part because a Daubert challenge goes to the very heart of the scientific methodology an expert uses to reach his or her conclusions – not to the actual conclusions reached – and therefore arguably has the greatest potential for lasting long-term harm. Even more troubling is the fact that sometimes an expert isn’t even aware that there was a challenge until well after the fact – after all, unlike the parties to an action, the expert witness has no true advocate or legal standing in the courtroom. He or she may not even find out about the challenge until after the case is settled or decided, and all the parties, attorneys, and other players in the courtroom have closed their briefcases and gone home. There is room for argument that, rather than as a method of raising the bar for scientific reliability, Daubert is becoming a federal litigation rite of passage which may be subject to misuse, is scaring off experts, and is almost certainly increasing costs of litigation for everyone. Convince us Daubert challenges are working – or tell us why they aren’t in the comments below. Would you utilize an expert previously challenged under Daubert? Why or why not?" This just in from the BullsEye Blog: "In the world of expert witnesses, staying up to date on Rule 26 is vital. Not following requirements for disclosure and expert reports can break your case. Earlier this year in Walter International Products Inc. v. Salinas, six expert witnesses were barred from testifying because they did not submit a report according to FRCP 26. Cases in which an expert simply consulted do not need to be included, just as articles published more than ten years ago don’t have to be listed." A helpful student recently pointed out that at the rate of 29.97 frames per second, it would take slightly longer than a second to complete scanning a full 30 frames. Great observation on his part. But, he wanted to know why. ... Ouch. To answer the question, we need a bit of a history lesson. When the NTSC (and others) were playing with adding colour to the TV signal in the 1950s, they only had 6MHz of space to play with. With the monochrome system already in place, they had to figure out a way to get the colour in there, within the same space, and make it compatible with the existing equipment. For those that sat in high school math class thinking, "I'll never need math once I leave school," hang on ... you will. NTSC B/W line frequency was 15,750 hertz. The folks that were working on this problem found that info modulated on the carrier frequency seemed to be grouping itself around the harmonics of the line frequency, leaving places on the carrier where no info was being carried. Empty spaces were found at the odd harmonics of half the line frequency (7,875 lines per second). Thus, info could be inserted in these spaces without causing interference. Inserting the colour info into these spaces meant that the new colour system would be compatible with the old B/W system. But ... they chose the 455th harmonic as the color subcarrier frequency (reasons edited out for brevity). The audio carriers were set at 4.5MHz above the video carrier for all TV stations. This means that regardless the TV station's video carrier frequency, the audio carrier was 4.5MHz above it. As a result, they found that the color subcarrier placed in the 455th harmonic caused interference around 900 kilohertz that was visible as black and white wavy lines running through the picture. To solve the problem, they slowed the existing line frequency by 16 lines to 15,734 per second. All TV sets were built to receive signal within 1% of the line frequency, so that 16 line adjustment wouldn't cause a problem. This tiny adjustment produced a new frame rate of 29.97 frames per second. Wow. That was a mouth full. There's obviously more to it than my simplified version. If you're interested, I could recommend a few good books on the subject. From the NY Daily News: "Less than a month after getting busted for allegedly trying to run over a cop, a city worker left court Thursday a free man thanks to video evidence that showed him to be a careful driver. “There's a larger issue here," said Hockenjos’ lawyer Craig Newman. "You have a police officer who doesn't have the right temperament or judgment to be wearing a badge who's still out there." "Most cases have no video of what happened," the lawyer said." ed. note: It's amazing to think of the times that I'm asked if I've ever worked for the defense - as if there was something wrong with that. In this case, and any other like it, I'd gladly work in the defense of an innocent person.